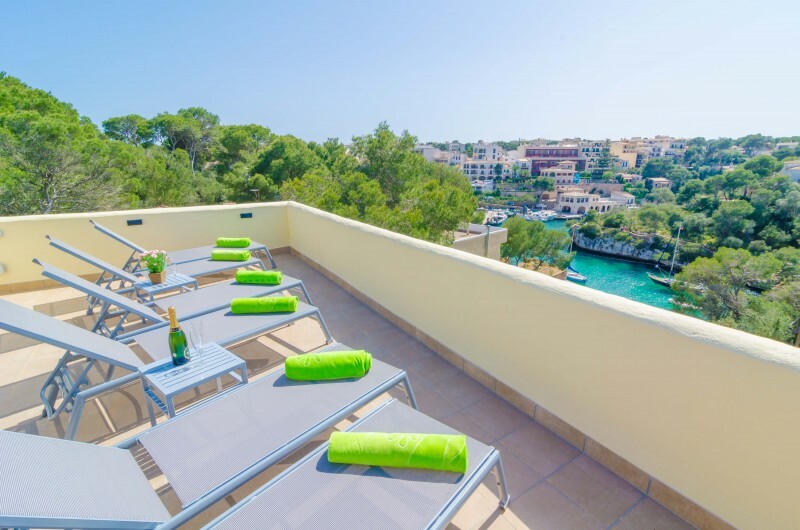 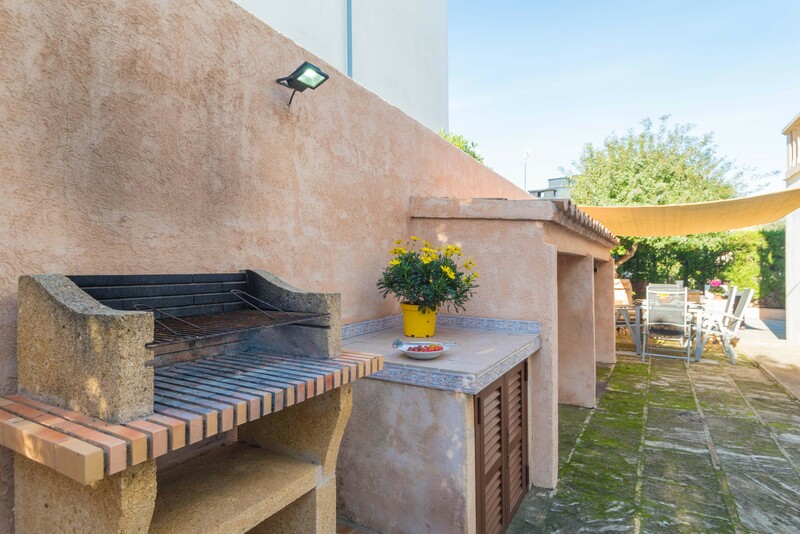 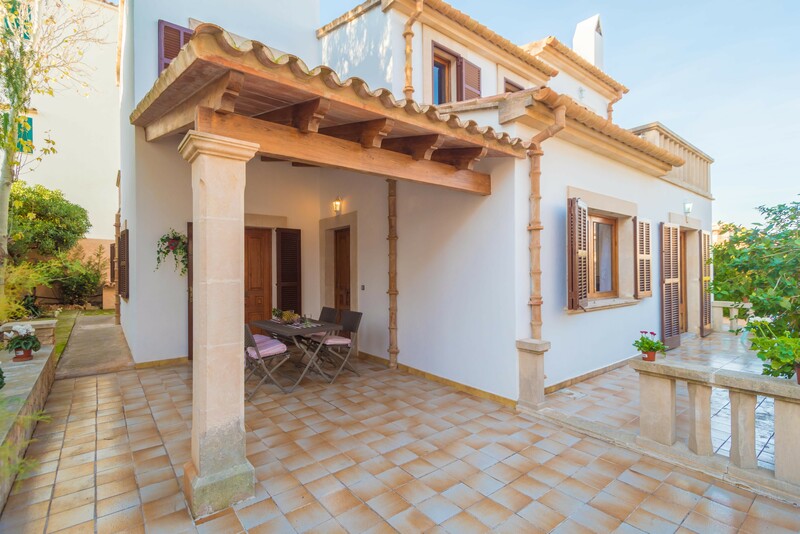 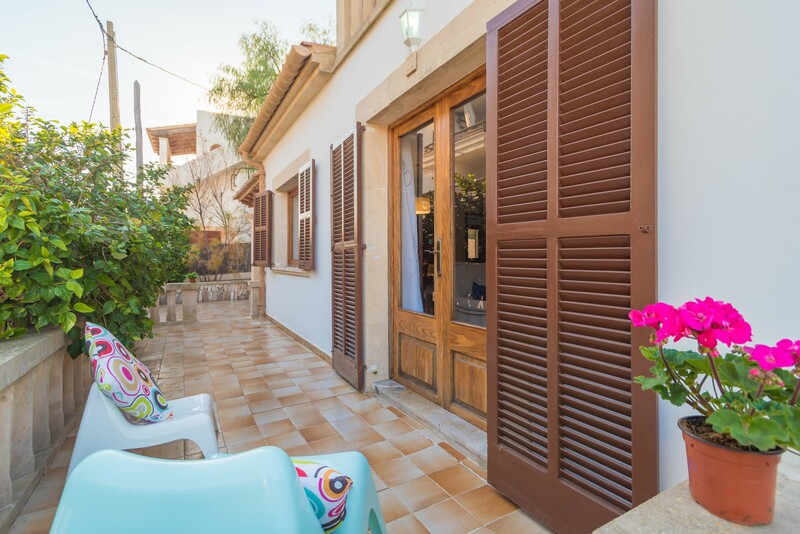 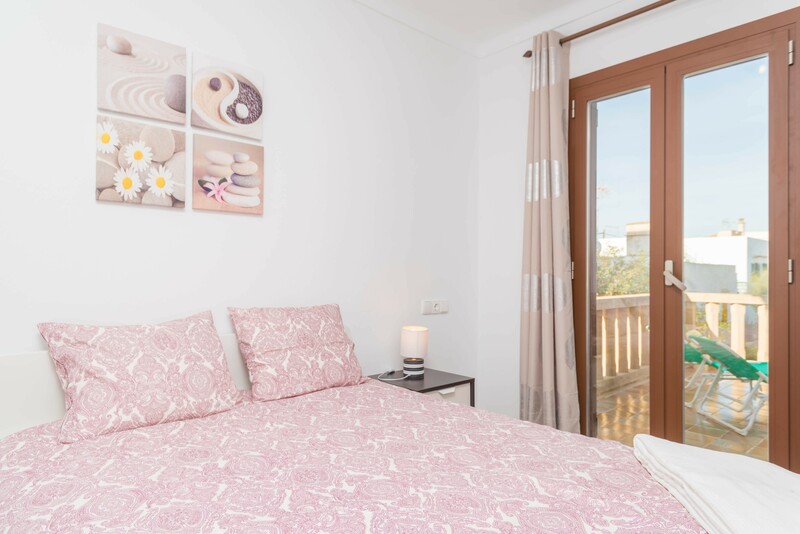 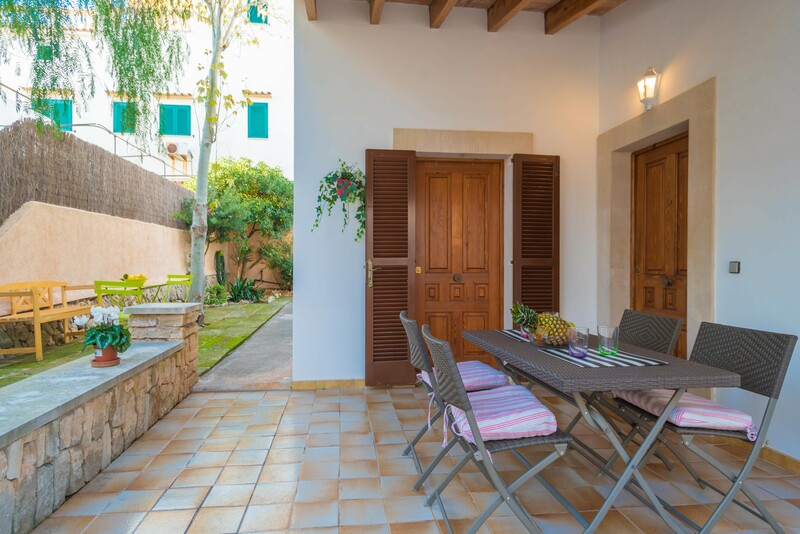 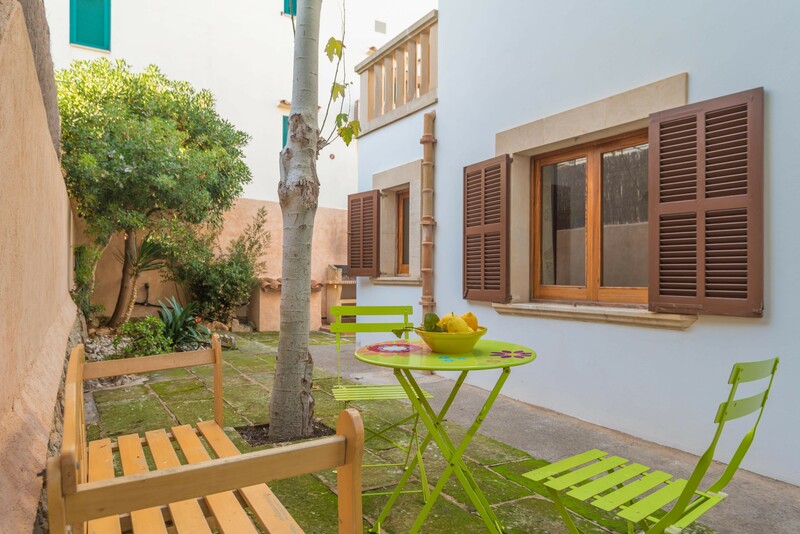 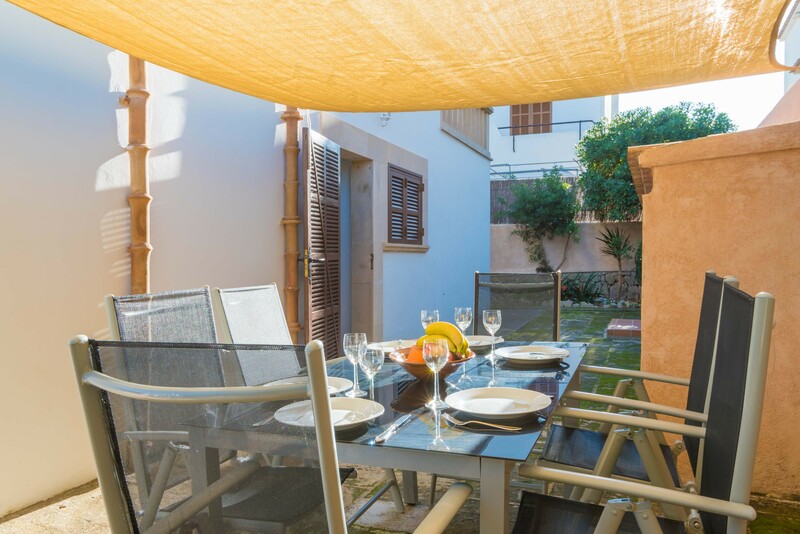 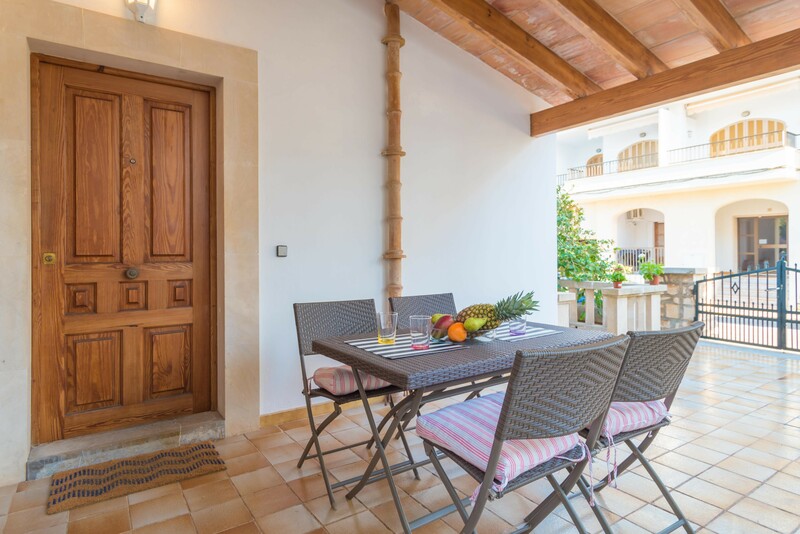 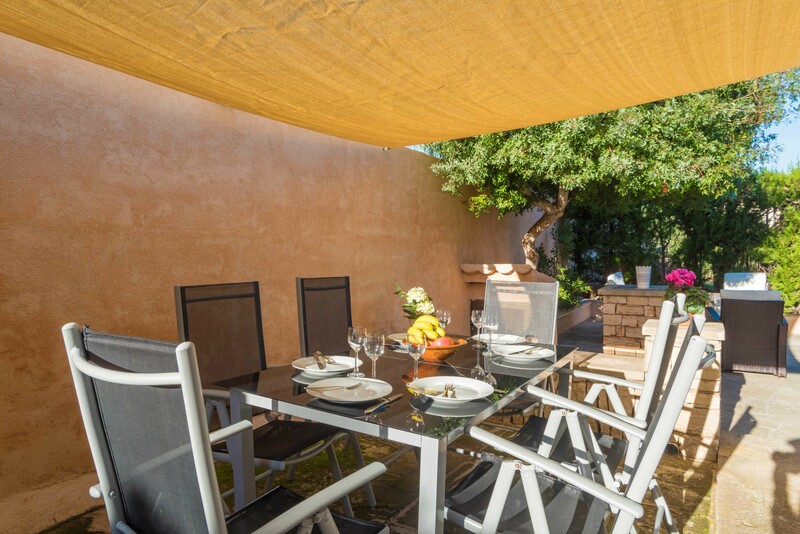 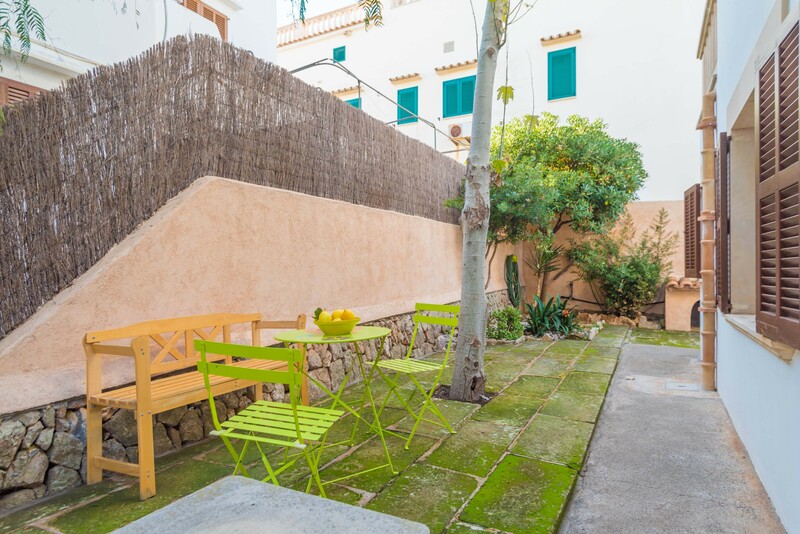 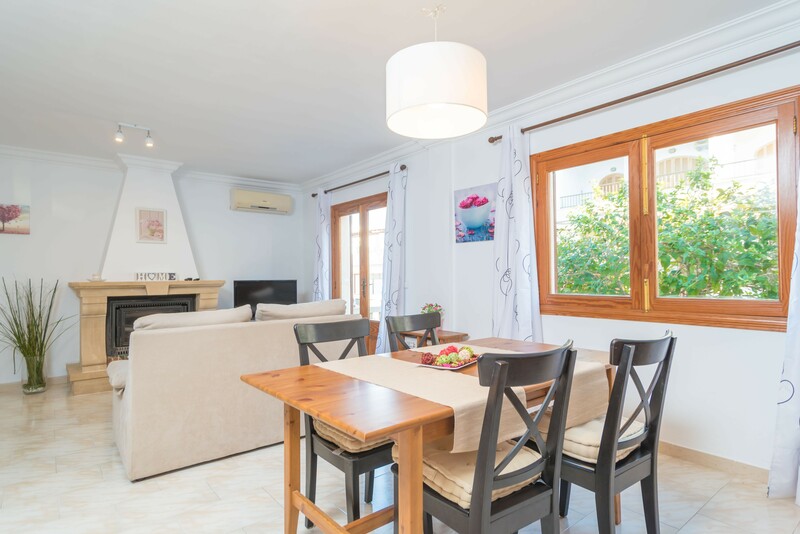 Beautifully furnished terraces line the house and give the opportunity to enjoy the mild climate of Mallorca. 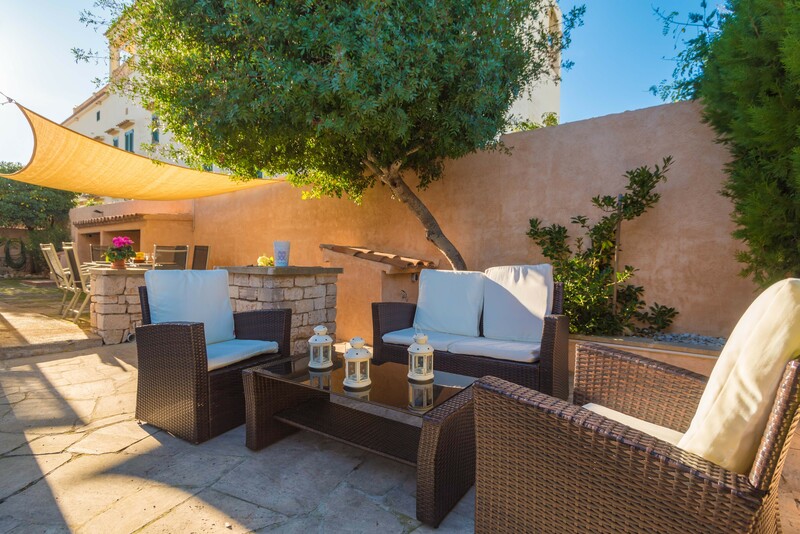 Maybe a cocktail in the chill out area or a barbecue with friends and family, there are lots of possibilities. 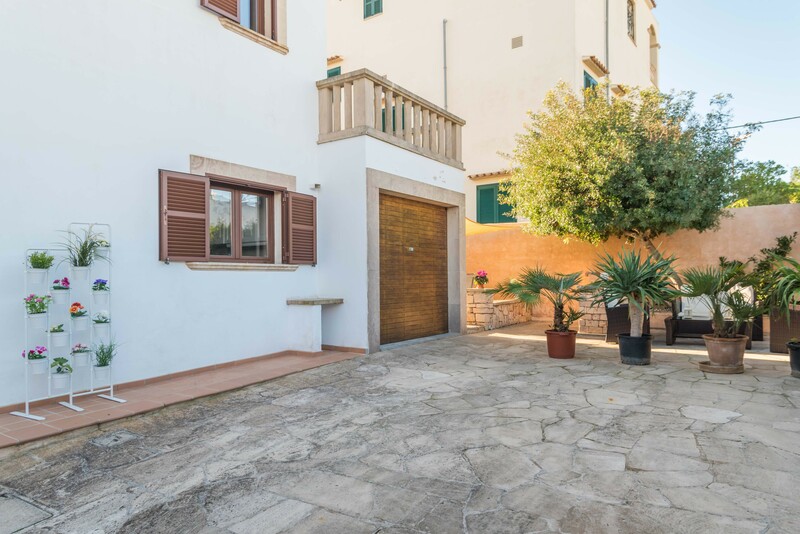 The house is in a residential area and you have direct neighbours, the property is fenced. 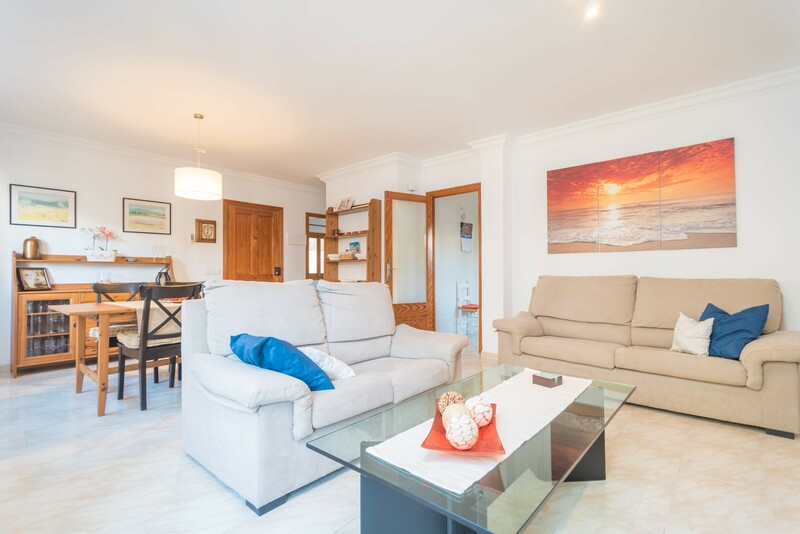 The living room, open to the dining area and with air conditioning, is the ideal place to relax or watching a movie on satellite TV. 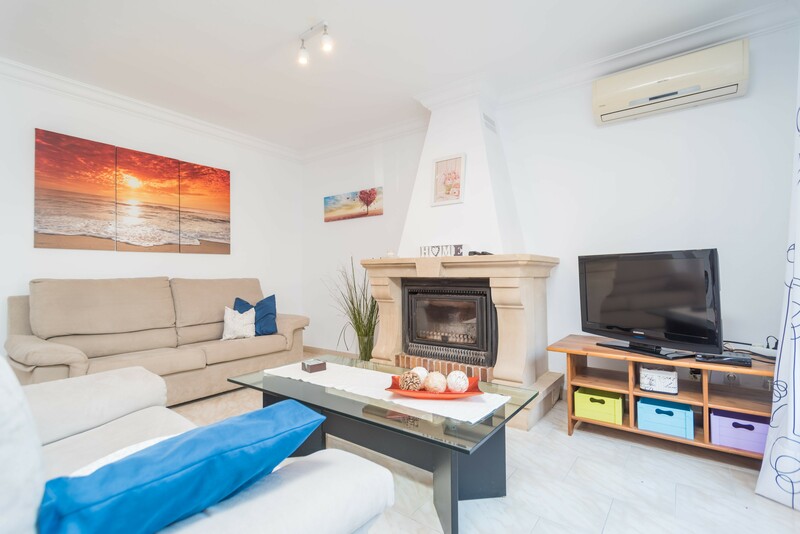 The fireplace can not be used. 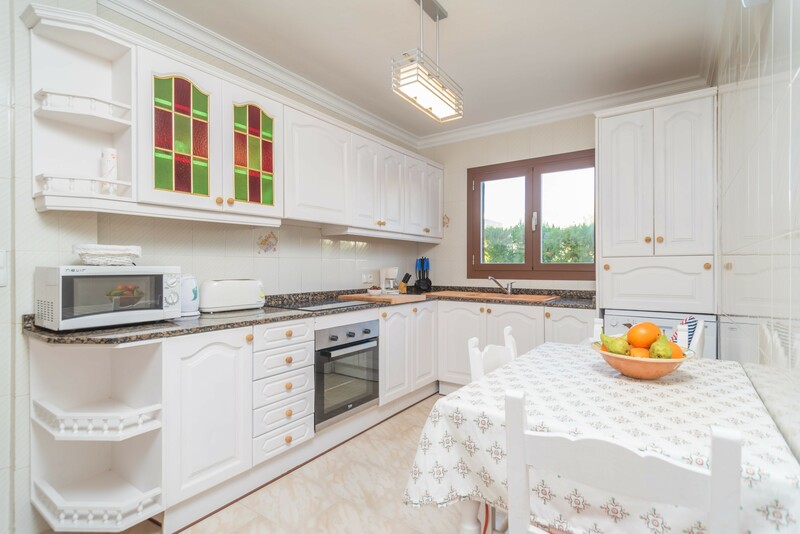 The kitchen is equipped with a ceramic hob and has microwave, electric oven, toaster, coffee maker and dishwasher all the essentials you need for cooking. 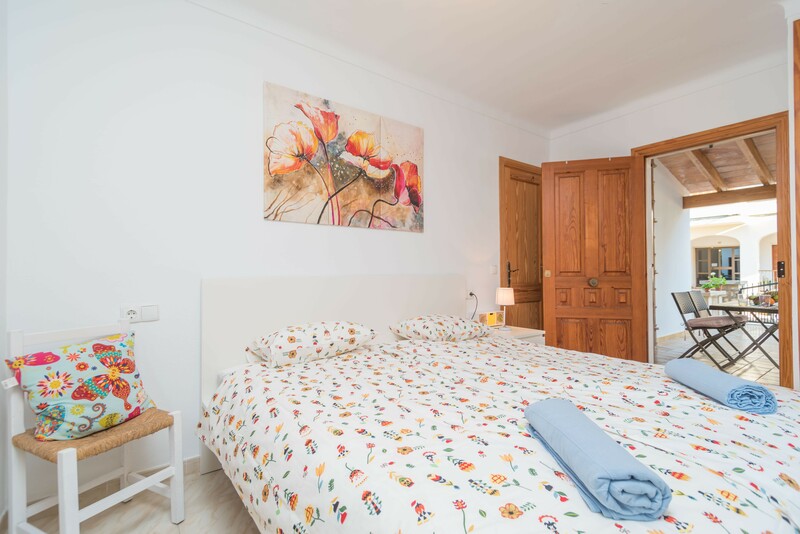 The laundry room is equipped with a washing machine, ironing board and iron. 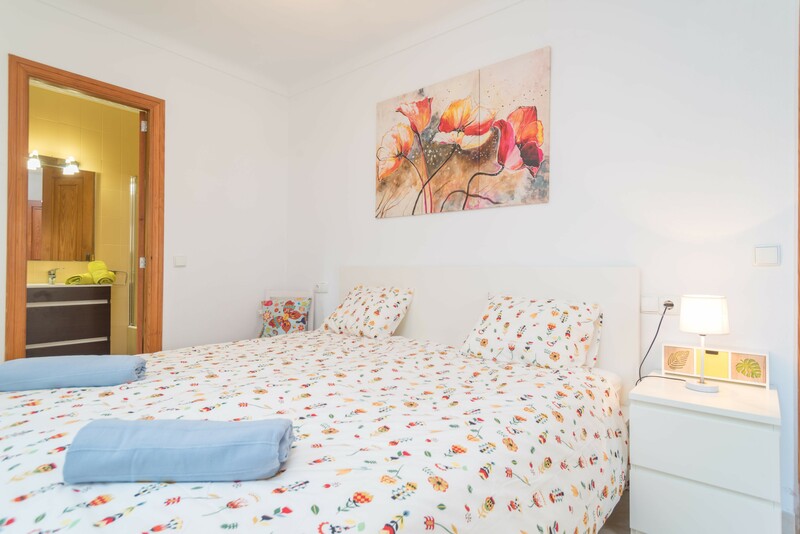 A total of 4 bedrooms promise relax after long vacation days. 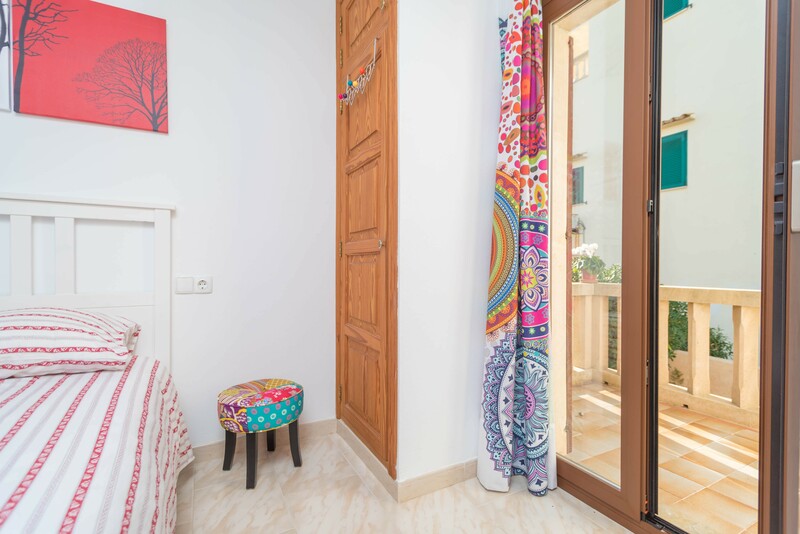 All have a wardrobe and access to a terrace. 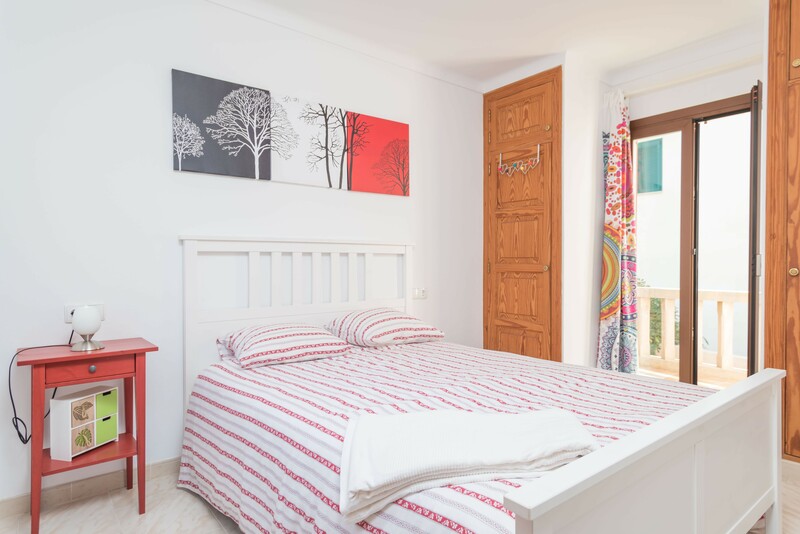 A bedroom with double bed and bathroom with bath "en suite" is located on the ground floor. 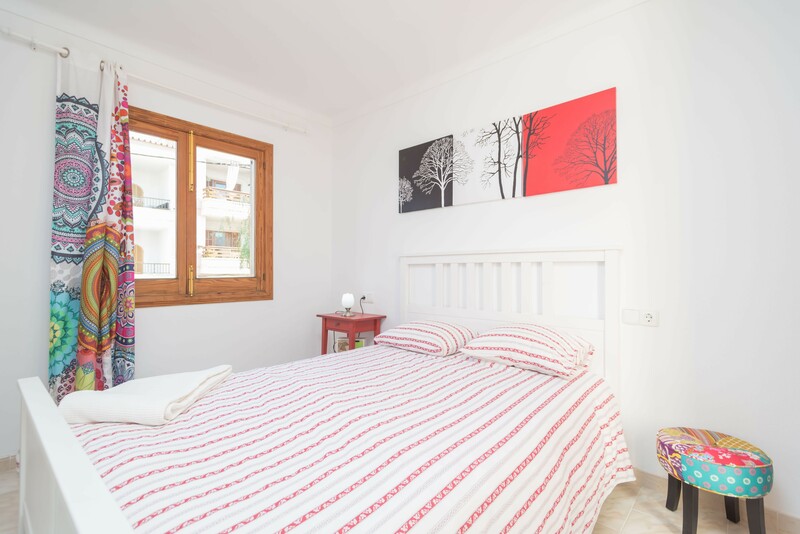 Upon request a baby cot and high chair can be provided. 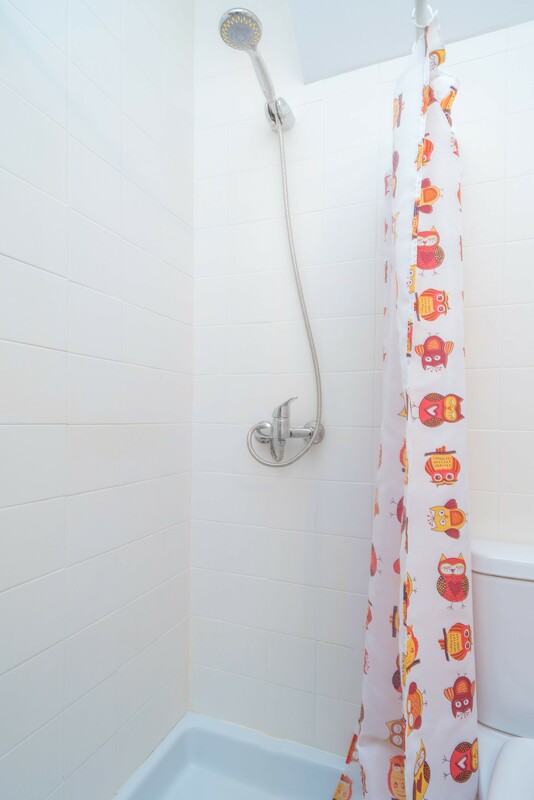 A shower room completes the ground floor. 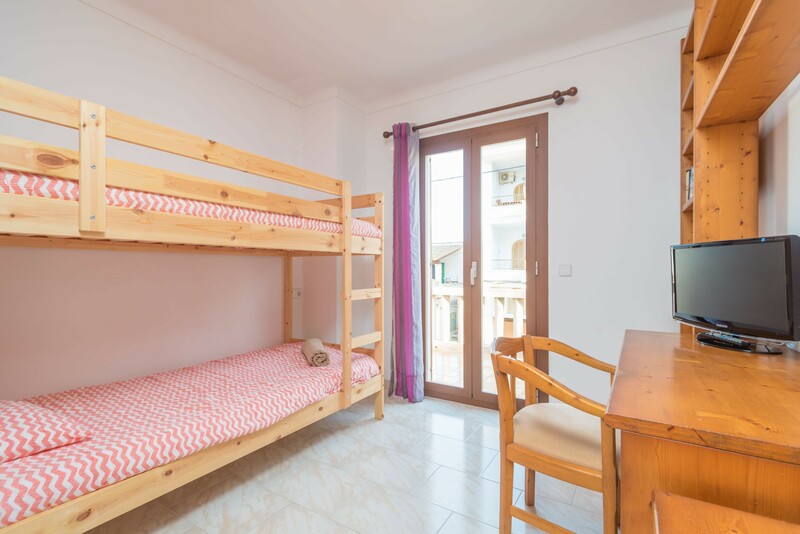 On the first floor there are 2 bedrooms with 1 double bed each, the 4th bedroom has a bunk bed. 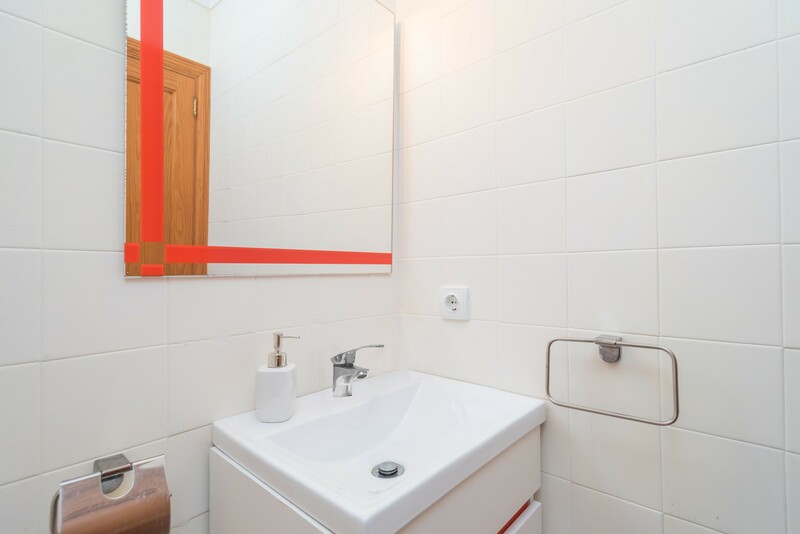 There is no satellite TV on this (1st) floor. 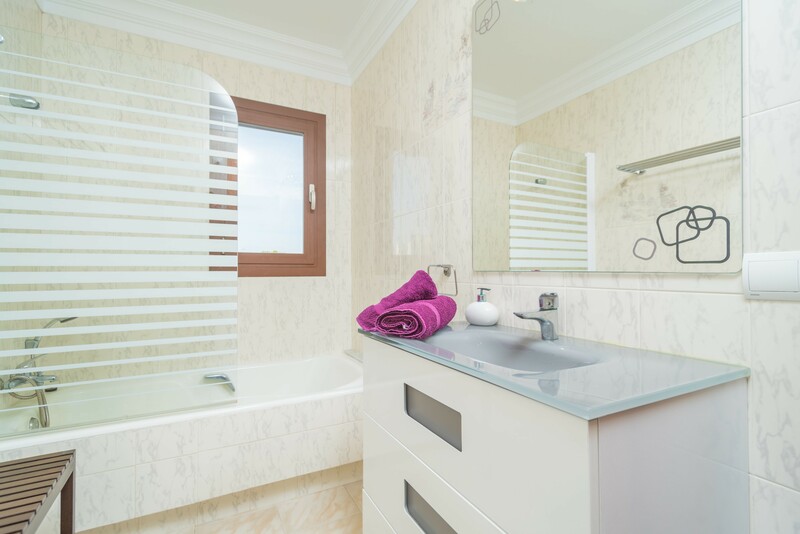 There is a bathroom with a bath tub on this floor. 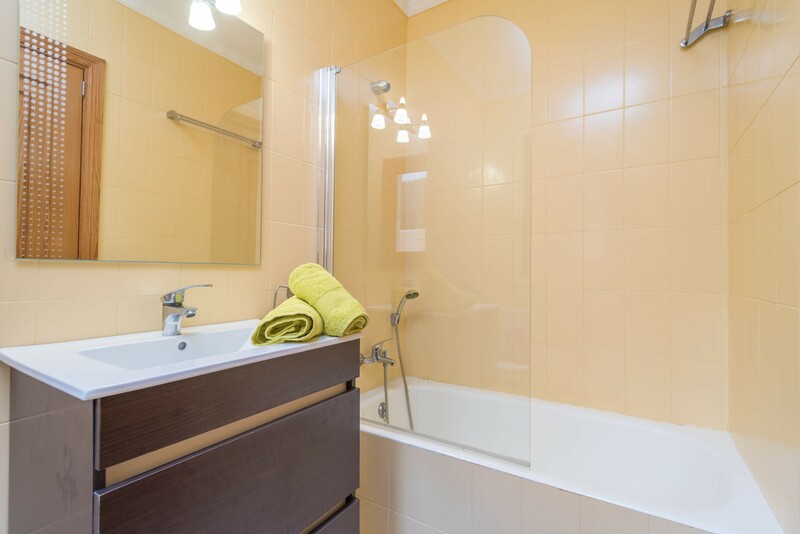 For the cooler months electric heaters can be provided on request. 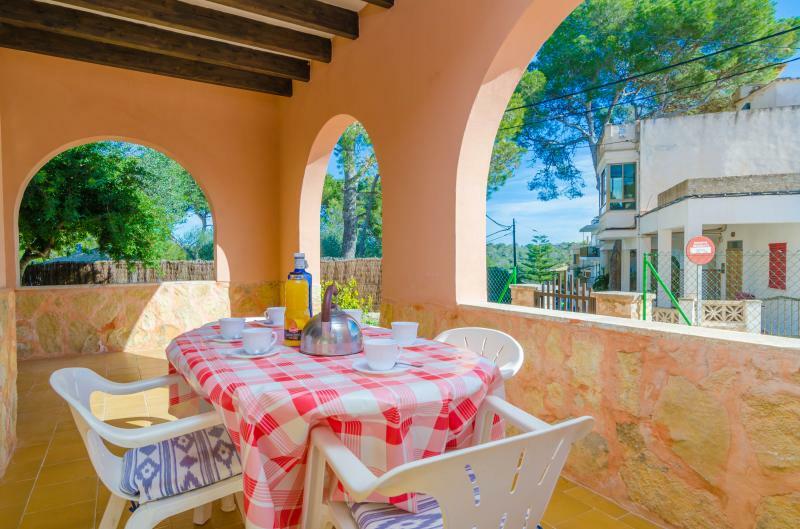 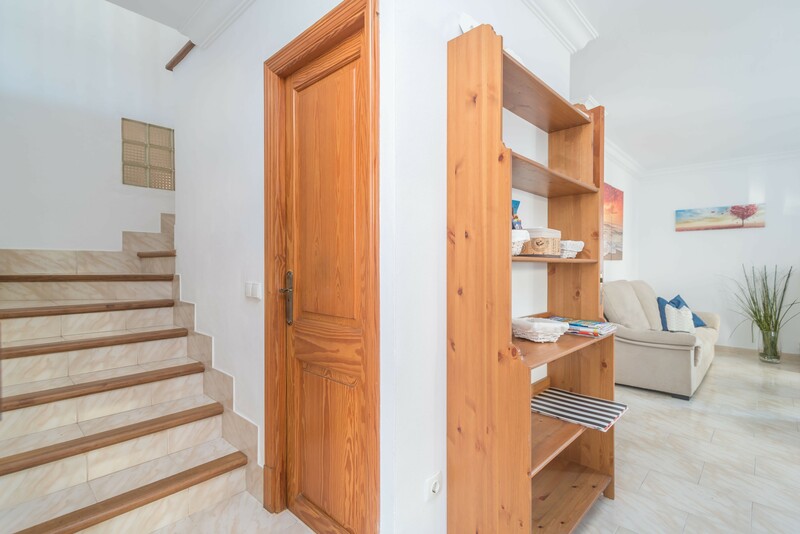 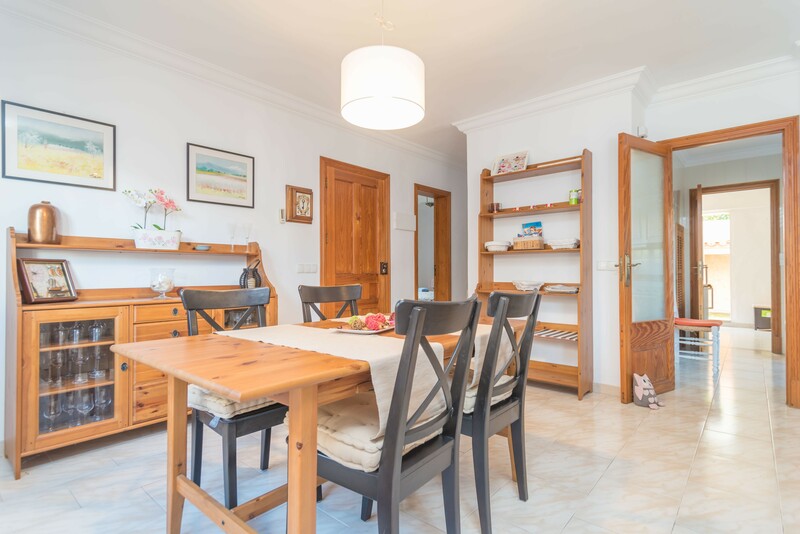 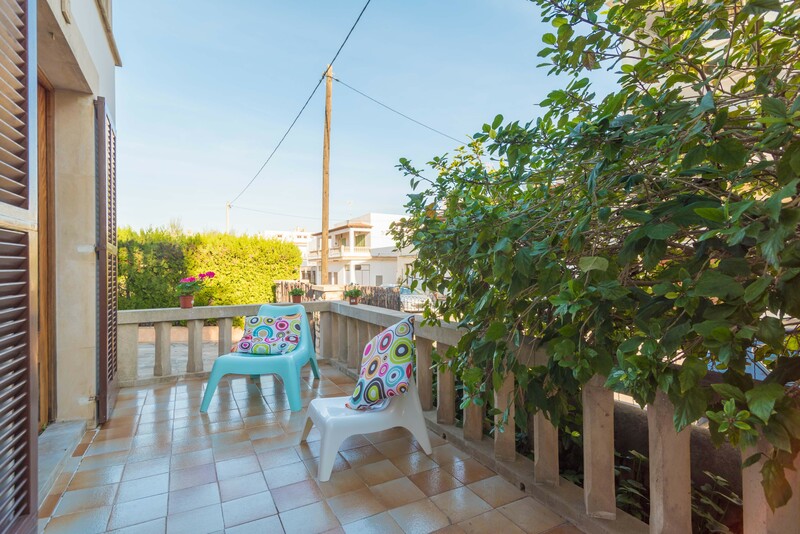 The location of the house, in the center of Cala Figuera, could not be better since you have all services in walking distance. 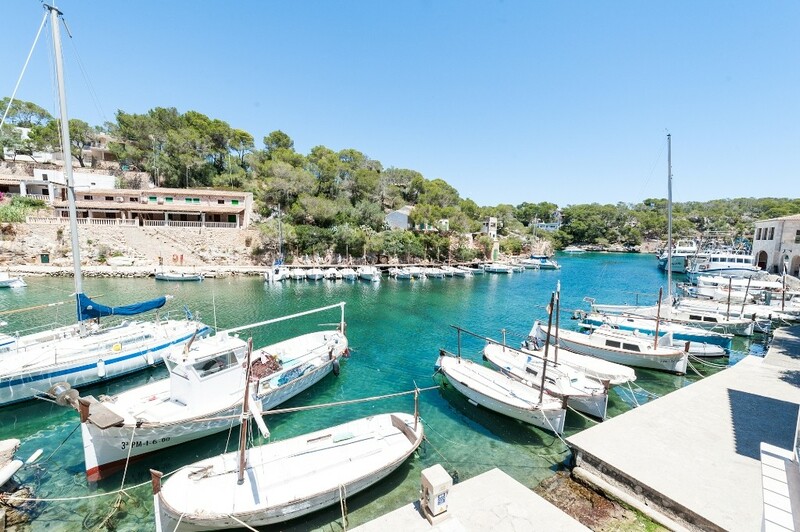 In Cala Figuera there are some bars and very good fish restaurants. 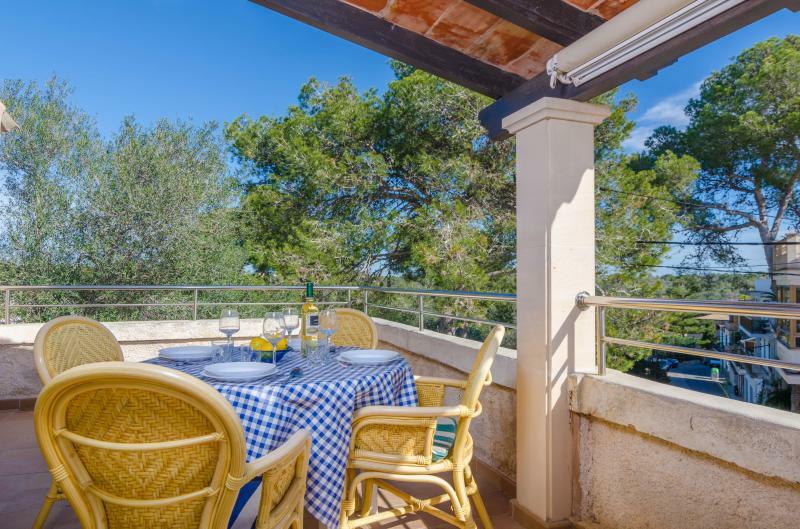 Hikers and cyclists are in this corner of Mallorca just right, versatile tours are offered. 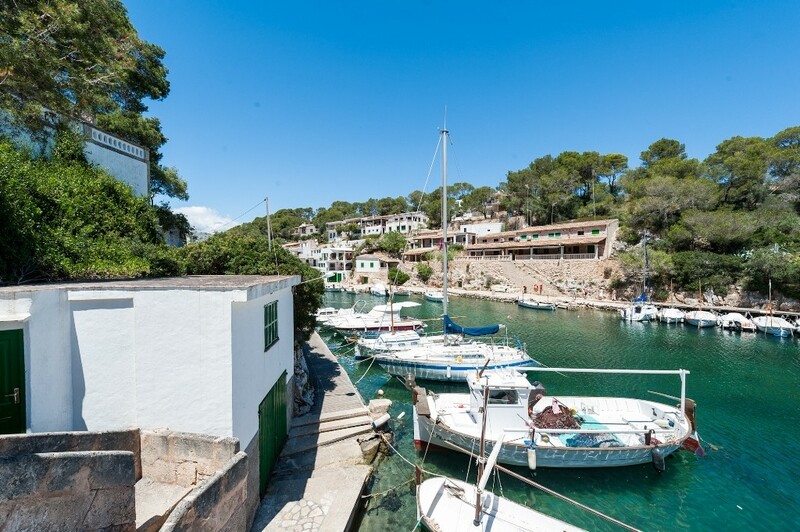 The Mondragó Nature Park also offers fine sandy beaches and clear water. 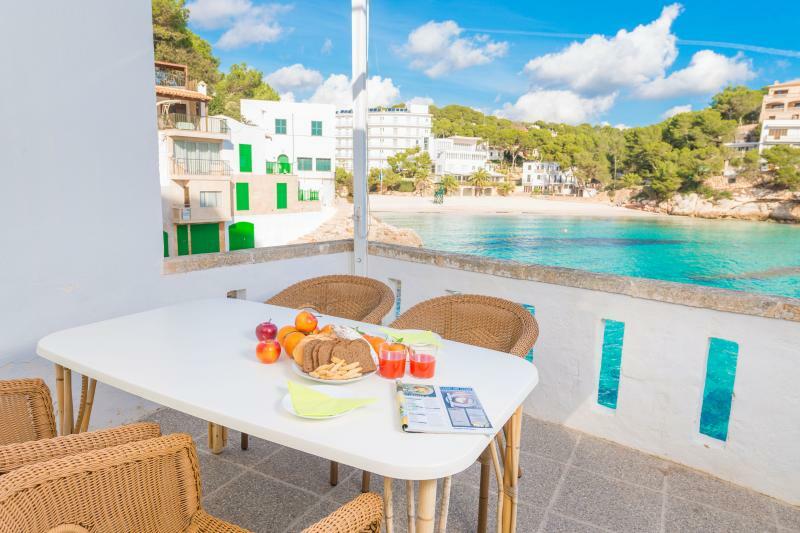 The bays such as Cala Figuera, Cala Santanyi or the paradisaical beach Es Trenc will delight you.